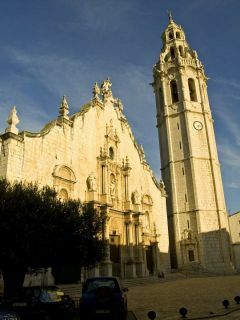 EL PUNTO DE ENCUENTRO CON EL GUÍA SERÁ EN LA PLAZA DE LA IGLESIA. FUERA DEL HORARIO DE VISTAS Y DE MISAS LA IGLESIA PERMANECERÁ CERRADA. MEETING POINT WITH THE GUIDE IN THE CHURCH. WEDNESDAY 4th THERE WON’T BE THE VISIT OF 12.00 h.
LIEU DE RENCONTRE AVEC LE GUIDE DANS LA PLACE DE L'ÉGLISE. LE MERCREDI 4 D’AVRIL IL N’Y AURA PAS VISITE À 12.00 H.
BEGEGNUNG PUNKT IN DIE KIRCHE.